Once you and the dentist doctor agree that Invisalign treatment is right for you, your dentist will take photos, X-rays, and either impressions or a scan of your teeth. These records will be used to make a 3D treatment plan, referred to as the ClinCheck treatment plan, which will be used to design the custom-made Invisalign aligners. This 3D treatment plan will also show your likely final tooth position at the end of the treatment. 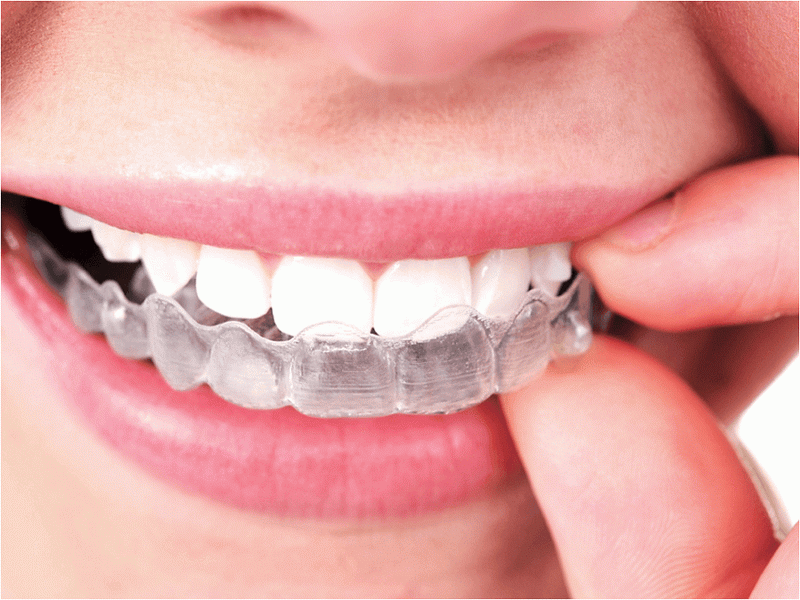 Your custom-made Invisalign aligners will be produced and then shipped to your dentist, who will then give you a series of aligners, typically 3 to 4 sets at a time. You will replace each one approximately every 2 weeks until the final position of your teeth is reached. Potentially fewer dental visits: Invisalign treatment typically requires fewer doctor visits than some types of braces. The results from Invisalign will last just as long as traditional braces provided that they are correctly prescribed. A big factor in how long the results last will depend on how long and how well you use your retainer after orthodontic correction. It is generally recommended that wear retainers day and night for the first 6 months then nightly after this period.